Since 2002 Global Crafts has worked with artisans in Kenya, Zimbabwe, South Africa, Haiti, Mexico, Chile, Nicaragua, India, Cambodia, and artisans in Kyrgyzstan, Guatemala, Ghana, Bali, Thailand, Peru, and Nepal through FTF-member Showcase partners. We offer jewelry, textiles, instruments, home décor, tableware, accessories, from many countries. Store buyers find a one-stop online shopping experience for products from soapstone to wood boxes, jewelry, table linen, metalwork, ornaments, nativities, candles, felt toys. Our Showcase offers the newest products from dZi, Matr Boomie, Global Mamas, Lucia’s Imports, Silk Road Bazaar, Global Groove Life, Sustainable Threads, Aid Through Trade, and Marquet, with prices the same as if purchased from these wholesalers directly. 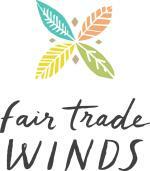 Looking to add fair trade products to your online store? We also provide dropshipping services at www.DropshippingByGlobalCrafts.com. Our retail store Gifts With Humanity is a great place to visit to see the products in person.